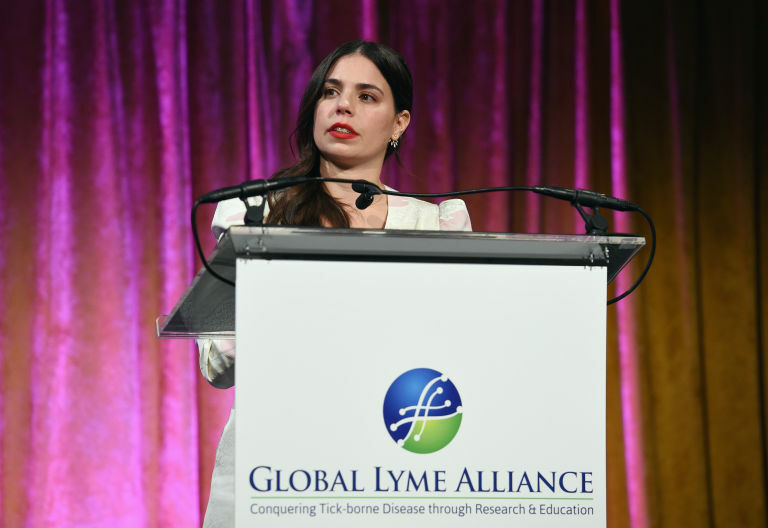 After a tick bite at age seven, Ally Hilfiger started experiencing serious health issues, but her test for Lyme Disease was inconclusive. And so began years of misdiagnoses, from growing pains to ADD to rheumatoid arthritis to MS to fibromyalgia—until she was finally diagnosed correctly at 19. 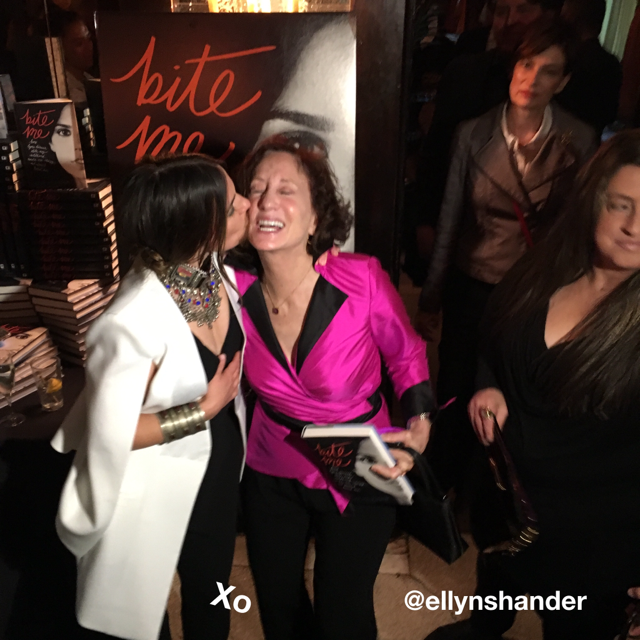 Hilfiger, now 31, chronicles her battle in her new book, Bite Me: How Lyme Disease Stole My Childhood, Made Me Crazy, and Almost Killed Me, out May 10 from Center Street. Here, she talks desperation, healing, and a will to change the world. Marie Claire: How is your health today? Are you cured? Ally Hilfiger: There’s really no black-and-white answer to that. Do I have some days when symptoms creep up? Yes. Do I think that it’s completely cured? I hope so. I can’t say for sure because it’s not a technically curable disease. I went to the ends of the earth to eradicate it, but today and for the past few years I have felt wonderful. I definitely have to manage symptoms here or there—but it’s nowhere like it used to be. MC: If there’s one thing you want people to take away from your book, what is it? AH: Many, many Lyme patients struggle with this—and it can be very confusing to people who are not aware about the disease—that some days, you can feel great, and the next day, you physically cannot get out of bed and you can’t think, write, talk. It’s like somebody is turning a light switch on and off. I would love to bring to light, besides just educating about Lyme in general, that it’s a very complicated disease and it’s very, very scary for the people who are dealing with it because your insides don’t match your outsides. That can be very infuriating because people would say, “You look great.” And you’re like, I can’t even carry on a conversation with you right now. The second thing is the misdiagnosis factor and the fact that the testing is so inaccurate. MC: So you are going through this, and people don’t believe you. AH: The scary part is that I started disbelieving my own body and my own mind. Am I making this up? It’s like you’re wearing a really amazing dress and high heels and you’ve just gone to the hair salon and gotten a facial and you feel fabulous, and then someone says, You look really awful. You’re thinking, Was I completely delusional?That’s what it feels like. It was very lonely and for many years I just didn’t talk about the way I felt because I assumed if there’s nothing wrong on paper, maybe this is just the way a human is supposed to feel, and I’m just complaining about it. MC: What does your work for the Global Lyme Alliance involve? AH: I sit on the board. The founders have such kind, genuine hearts, and they are fighters. I’m going to Washington, D.C. to sit in front of the Senate to tell my story to get this bill [Lyme and Tick-Borne Disease Prevention, Education, and Research Act] passed. I believe I got this disease for a reason and if that is to help bring awareness, that is my mission and I will do the best that I can to do that. MC: You created MTV’s Rich Girls. Looking back, what would you have done differently? AH: I was 17 years old. I did not like the title of the show. The editing was questionable a lot of the time, and I was also very sick and didn’t know it. It is what it is. You gotta just laugh at yourself and let it go and not take things too seriously because life is too short. I had to watch a couple of episodes while I was writing the book because I had forgotten certain things. They’re on YouTube and they’re so blurry. . . I almost peed in my pants, it was such a different version of who I am. It was just fun to watch. MC: You’ve produced a film, done TV, created a fashion line, and wrote this book. What are you working on now? Would you do another reality show? AH: I probably will steer clear of a reality show. I’ll always be a clothing designer and an artist—I just had a little art show in L.A. Hopefully I’ll get into producing and directing and acting again down the road one day. MC: Your dad had you committed, and you write that you’re sometimes angry about that but also that it saved your life. AH: I needed to be around doctors to help get to the bottom of the problem and thank God, psychiatrist Dr. [Ellyn] Shander who was the heroine of this whole thing I think, was educated enough and Lyme-savvy enough that she’d seen this type of behavior to say, ‘There’s more to this than just her going crazy.’ If I hadn’t been committed and hadn’t met Dr. Shander, I don’t know if my recovery and diagnosis would have come as quickly as it did. So in that way it saved my life. MC: How has the battle changed you? AH: I’m able to fight for myself, I’m able to speak up and feel like I have a voice, and I can be my own advocate and my own warrior.